6550s In A ‘78 2204? 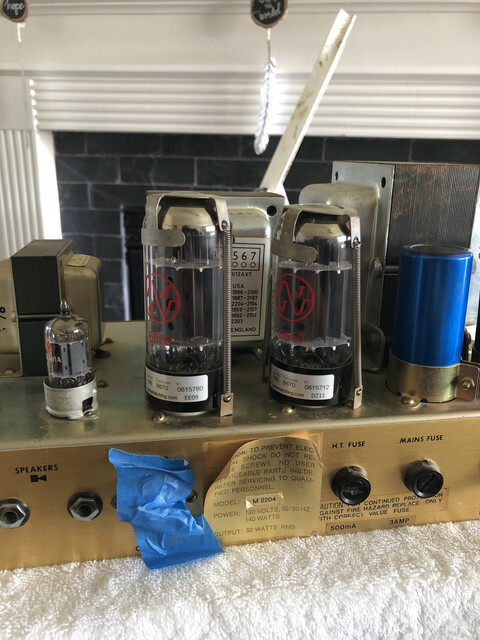 Discussion in 'Let's Talk Vintage' started by Taylor Ramey, Sep 15, 2018.
i just picked up a 1978 JMP 2204 50 watt from a buddy of mine. Upon taking the back panel off, I noticed it’s got a set of 6550s in the power section. Anyone care to chime in with some info? Nope, it was in the mid 1970's to maybe early 1980's or something like that. Its looks to be set up for 6550. Could it have been modded to 6550s or does it look stock? Forgive my ignorance, I’m a newbie when it comes to these kinds of things. Looks stock for 6550s. 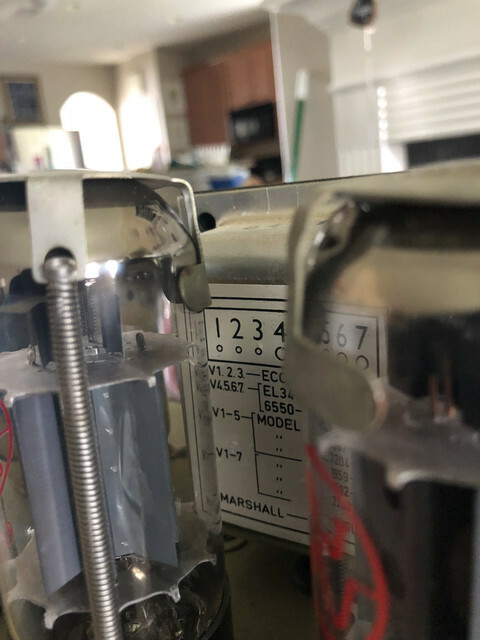 Look at the two 150K bias resistors. If it was configured for EL34s it would have 220K resistors instead. If it was made for the USA market it came with 6550s. 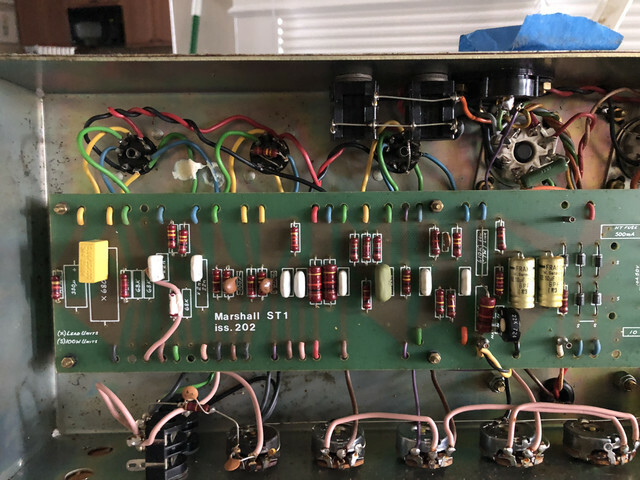 Marshall put 6550's in the US export amps from approx. '74 to '86. Glad to be corrected on the exact years. The were more robust than the available EL34 at the time, and they were having warranty issues. on any that I have had looked factory. days the 6550's sound damn good. Louder/clearer, but a bit more sterile, IMHO. CoyotesGator and MarshallDog like this. 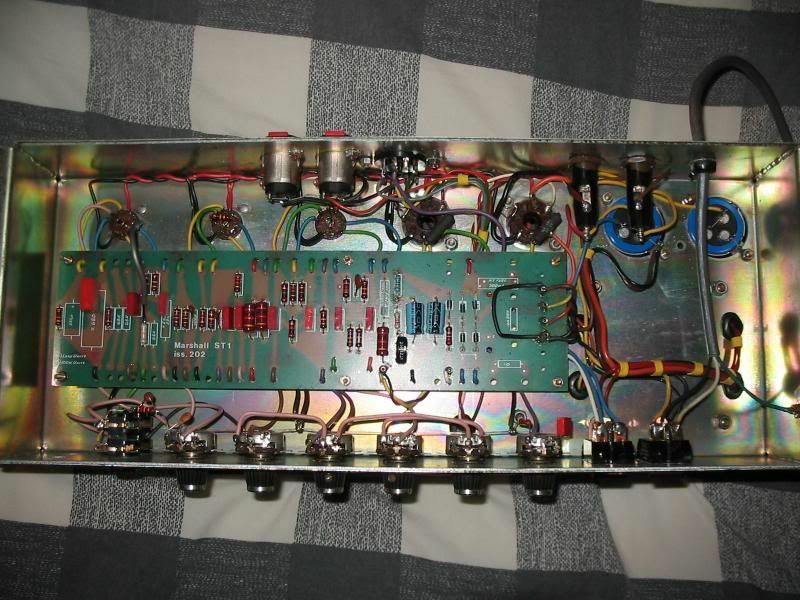 This amp came stock with 6550s in USA, the 150K bias split resistors confirm that. 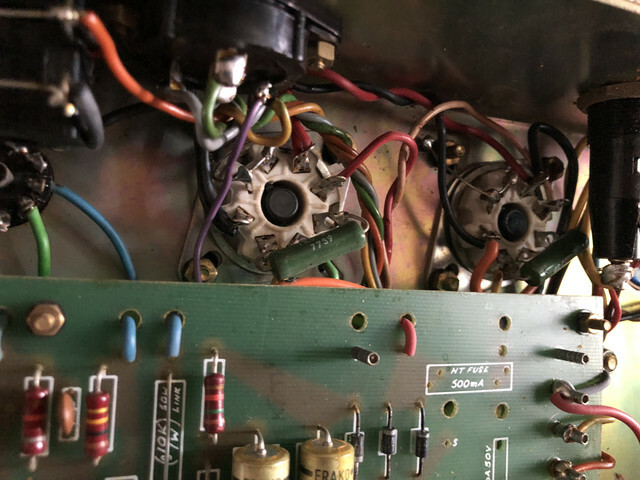 Yes, a factory 6550 amp. 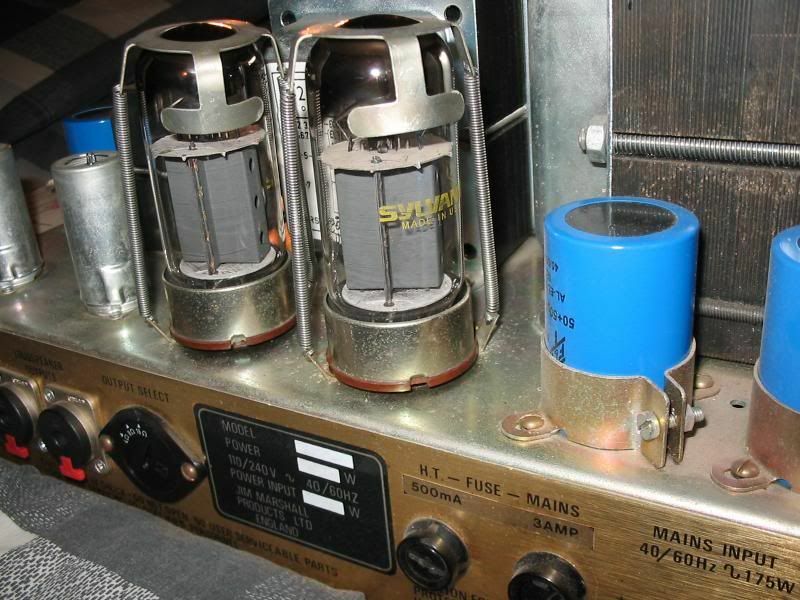 And the 47k Bias Range resistor in series with the Bias Trim pot (vs the 56k in the EL34 amp). And the previously mentioned 150k Bias Splitter resistors (vs the 220k in the EL34 amp). 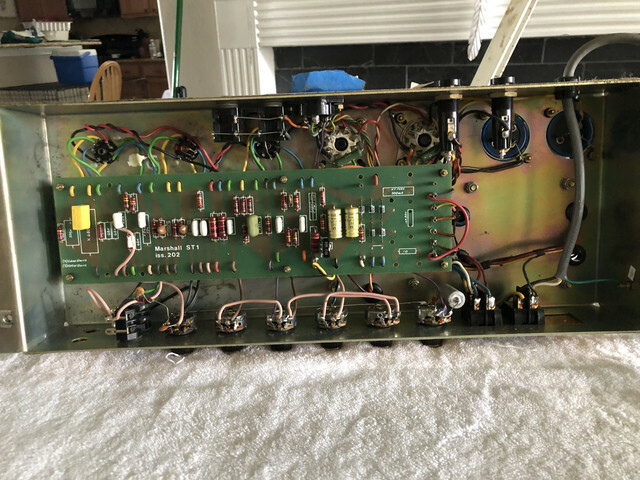 I had to restore my '81 JMP 2204 to the 6550 specs because someone had done the crude "piggyback" bias resistor mods to run EL34's. In doing so they heat damaged the surface of the PCB----- not bad enough to effect function but enough that it won't just clean off. CoyotesGator, Mitchell Pearrow and solarburnDSL50 like this. 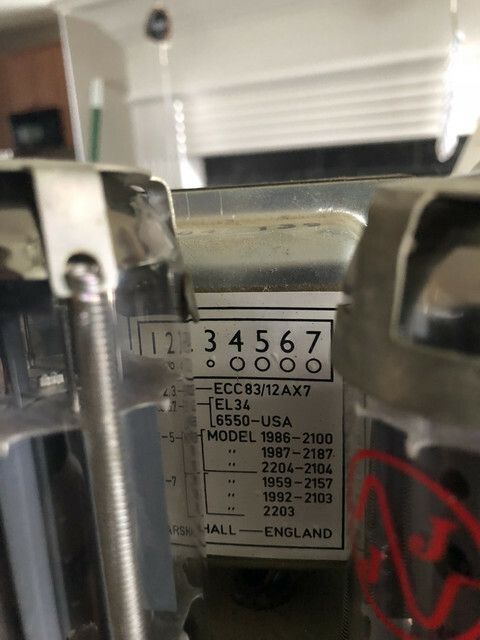 I have a '78 2203 that came with the original [maybe] GE 6550's. I liked the sound of them but two wouldn't bias anywhere near what I consider normal. Contemplated changing to '34s but stuck in a set of 6550 Ruby's instead - very happy with the sound into Greenbacks and Creambacks. 6550s started appearing in US shipped Marshalls as early as 1973. Mitchell Pearrow and soundboy57 like this. 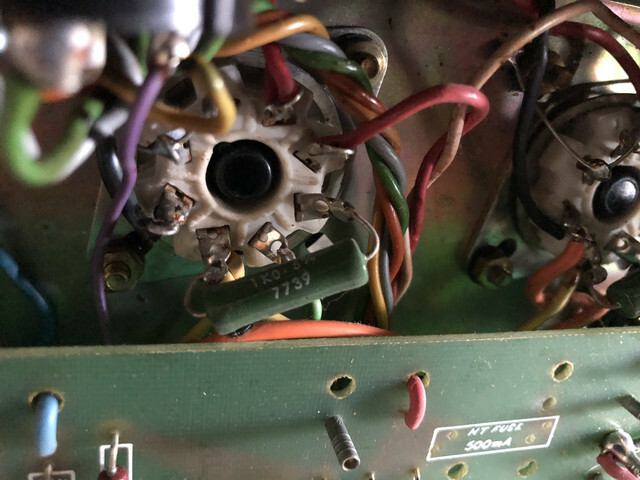 I love 6550's in a classic Marshall circuit. Congrats on a killer amp. Does the fact that it’s all oriinal(minus the tubes) and not modded make it worth more? Signed by Jim Marshall on the inside and loaded with G12M “Blackbacks” (T1221s). I’ve cleaned the tolex up on both and now the tolex looks good as new. The head only has a couple dings... no snags. The cab has a couple dings as well a snag on the back cover of the cab. The Marshall logo on the cab is cracked and the speaker cloth has a stain... is there a way to clean it up? This is a black and white picture from my buddy’s Instagram... I’ll post a color one later... the stain is visible, it sits at the very bottom of the cab’s speaker cloth. Yep...my 73 SuperLead had 6550's in it...sounded great..